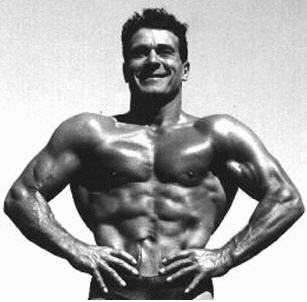 Jack LaLanne is considered by many to be the grandfather of fitness. He was truly one of the first big advocates of the importance of being physically fit and maintaining a healthy diet. 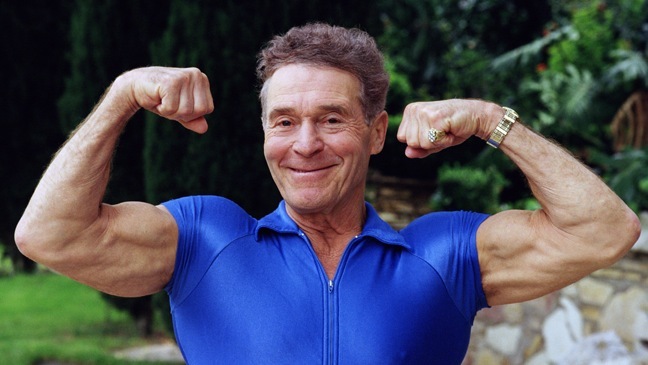 Jack LaLanne died on January 23, 2011 at the age of 96. Jack LaLanne published numerous books, had tv shows about fitness, tried his hand in bodybuilding, coached the elderly and began creating and endorsing various health products and infomercials toward the later years of his life. Arnold Schwarzenegger is a big supporter of LaLanne and called him “an apostle for fitness”, as well as indicting him into the Hall of Fame in 2007. LaLanne amazed people by physically looking great as he got older. He credited his health and appearance on eating mostly a meatless diet and taking the right vitamins. LaLanne ate two meals per day and avoided late night eating. His motto was “if man made it, don’t eat it” and “if it tastes good, spit it out”. LaLanne’s opinion on exercise was to train your muscles to fatigue. Although this type of training is common today, he was the first to create it. Jack LaLanne blamed most of America’s health problems on eating so many unnatural, processed foods with chemicals. Wikipedia has more details about Jack LaLanne’s life. Next story What are HCG Drops?